This play begins with the legends of those native peoples that began in this land, and then proceeds through history...the arrival of the Sapnish and the Mission era, the independance of Mexico, the Revolution of Texas, the Cival War, the rise of the Vaquero and the Cowboy...leaving just enough time to race through the 20th Century! 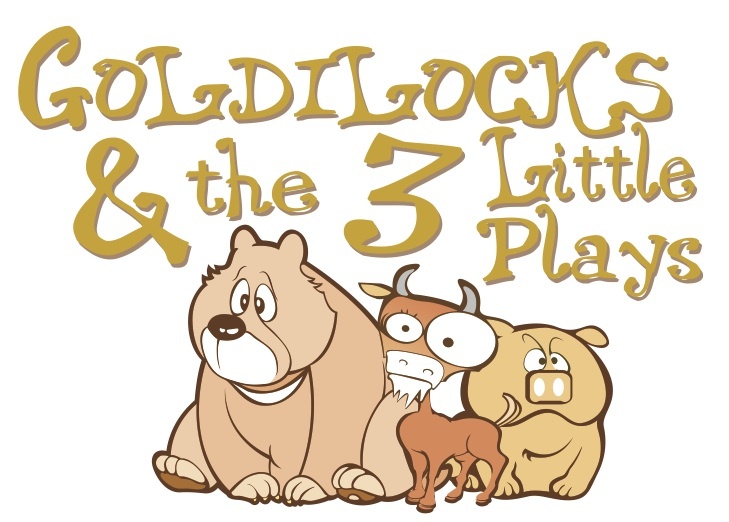 Goldilocks challenges 3 Boys to act out the stories of the 3 Bears, but then ends up as the Big Bad Goldilocks in the 3 Little Pigs and Troll-dilocks in the 3 Billy Goats Gruff! The theme of the play teaches the 3 elements of story telling-beginning, middle, and end. Plus, the concept of characters and how they enrich the story. There is a 4th story that the audience helps us make up at the end. Quick retellings of Four famous stories about Rabbits: PETER RABBIT, BRER RABBIT, PETER COTTONTAIL & the VELVETEEN RABBIT. The stories are told back to back and can be performed in any order or for a shorter running time. PETER RABBIT learns the hazards of ignoring mothers rules and stealing from others. PETER COTTONTAIL demonstrates how anything can happen in a story! BRER RABBIT is a vaudeville style retelling of the aptly re-titled Bubble Gum Baby! Brother Fox and Brother Bear help or rather don't help! The VELVETEEN RABBIT explores how important it is to be loved and to love! Its what makes us real! Please add Your Organizations Name and Address. Please include your email address and/or your Phone Number. Whichever is the best way to contact you. Also, ask any questions you might have for InterActive Theater. Which of our three touring shows would you like to have peformed at your venue?